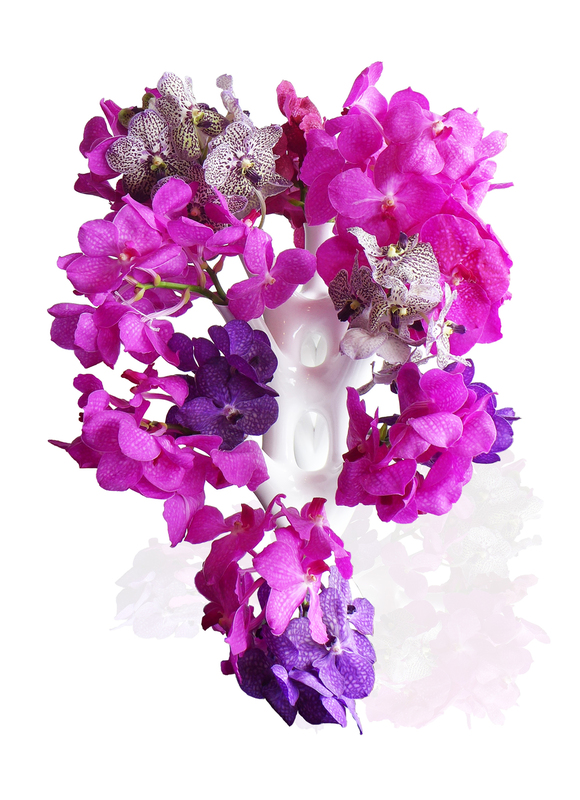 CORAL is a modern style flower vase which consists of 8 individual stems interconnecting with each other in an organic form. The shape of the vase mimics biological coral forms having the main spine and tentacles add structural hierarchy and overall integrity to the vase. Each stem contains a 25mm x 150mm test tube which can be easily removed from the vase for refilling water and floral arrangement. Most of the weight is concentrated along the spine and within the base in order to balance the weight of the flowers and the water inside the test tubes. The intention of the design is to provide a platform for beautiful artistic floral arrangements while posing in a sculptural and aesthetically pleasing form itself. This is a large sized vase designed to be visible from marginal to far distances and a variety of directions. CORAL is an ideal vase for display in public areas such as residential, commercial, and hospitality lobby spaces.